Amyotrophic lateral sclerosis (ALS) is a chronic neurodegenerative disease characterized by progressive motor weakness. It is accepted that it is caused by motoneuron degeneration leading to a decrease in muscle stimulation. However, ALS is being redefined as a distal axonopathy, in that neuromuscular junction dysfunction precedes and may even influence motoneuron loss. In this synapse, several metabotropic receptor-mediated signaling pathways converge on effector kinases that phosphorylate targets that are crucial for synaptic stability and neurotransmission quality. 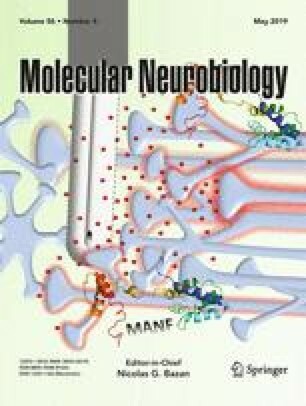 We have previously shown that, in physiological conditions, nerve-induced muscle contraction regulates the brain-derived neurotrophic factor/tropomyosin-related kinase B (BDNF/TrkB) signaling to retrogradely modulate presynaptic protein kinases PKC and PKA, which are directly involved in the modulation of acetylcholine release. In ALS patients, the alteration of this signaling may significantly contribute to a motor impairment. Here, we investigate whether BDNF/TrkB signaling, the downstream PKC (cPKCβI, cPKCα, and nPKCε isoforms), and PKA (regulatory and catalytic subunits) and some SNARE/SM exocytotic machinery proteins (Munc18-1 and SNAP-25) are altered in the skeletal muscle of pre- and symptomatic SOD1-G93A mice. We found that this pathway is strongly affected in symptomatic ALS mice muscles including an unbalance between (I) BDNF and TrkB isoforms, (II) PKC isoforms and PKA subunits, and (III) Munc18-1 and SNAP-25 phosphorylation ratios. Changes in TrkB.T1 and cPKCβI are precociously observed in presymptomatic mice. Altogether, several of these molecular alterations can be partly associated with the known fast-to-slow motor unit transition during the disease process but others can be related with the initial disease pathogenesis. L. Just-Borràs, E. Hurtado, M. A. Lanuza, N. Garcia and J. Tomas contributed equally to this work. This work has been possible with the financial support of Ministerio de Economía, Industria y Competitividad, the Agencia Estatal de Investigación (AEI) and the European Regional Development Fund (ERDF) (SAF2015-67143-P; PGC2018-097347-B-I00 grant submitted), the support of the Universitat Rovira i Virgili (URV) (2014PFR-URV-B2-83 and 2017PFR-URV-B2-85) and the Catalan Government (2014SGR344 and 2017SGR704). V.C. has been supported by the Ministerio de Economía y Competitividad (MINECO) under the framework of the Sistema Nacional de Garantía Juvenil, the European Social Fund (ESF) and the Iniciativa de Empleo Juvenil (IEJ). LJ, EH, VC, MT: LJ, EH. LJ is responsible for data collection. LJ, EH, VC, OB, FC, JT, MAL, and NG are responsible for data interpretation LJ, EH, VC, JT, MAL, and NG are responsible for literature search. LJ, EH, VC, JT, MAL, NG. JT, MAL, and NG are responsible for conception and design. All authors read and approved the final manuscript. The mice were cared for in accordance with the guidelines of the European Community’s Council Directive of 24 November 1986 (86/609/EEC) for the humane treatment of laboratory animals. All experiments on animals have been reviewed and approved by the Animal Research Committee of the Universitat Rovira i Virgili (Reference number: 0233). Also, animal handling and experimentation were performed in line with approved Institutional Animal Care and Use Committe protocols at the University of Paris Descartes and followed the national authority (Ministère de la Recherche et de la Technologie, France) guidelines for the detention, use and the ethical treatment of laboratory animals based on European Union Directive 2010/63/EU.